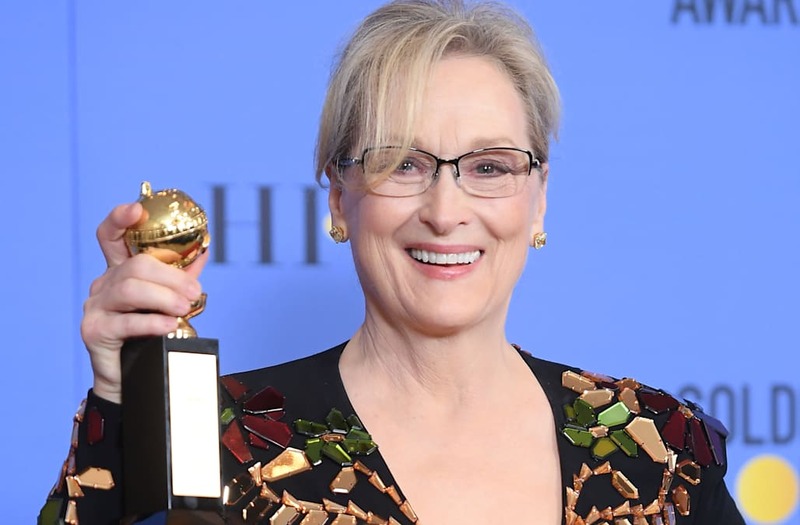 Meryl Streep took on president-elect Donald Trump while accepting the Cecil B. DeMille Award at the 74th annual Golden Globes on Sunday night, and she's simultaneously facing harsh criticism and fierce support for the move online. The "Florence Foster Jenkins" star called attention to the power of Hollywood, which she noted is full of foreigners that Trump has threatened to kick out of the country. "Hollywood is crawling with outsiders and foreigners," she proclaimed while holding back tears. "And if you kick us all out, you'll have nothing to watch except for football and mixed martial arts, which are not arts." Her speech, which also noted that "disrespect invites disrespect" and never mentioned Trump by name, garnered immediate and divided reactions on Twitter by both notable figures and the general public. Meghan McCain, Tomi Lahren and Piers Morgan were among some of the notable names that disagreed with Streep's sentiments, and all three of them aired out their grievances on social media. "This Meryl Streep speech is why Trump won," McCain tweeted. "And if people in Hollywood don't start recognizing why and how - you will help him get re-elected." Lahren said that she would be responding in full on her show on Monday, while Morgan said, "I love Meryl Streep but her anti-Trump speech was rank hypocrisy & just inflamed America's division." I love Meryl Streep but her anti-Trump speech was rank hypocrisy & just inflamed America's division. Trump himself responded to Streep's remarks, first in an interview with the New York Times in which he denied mocking one of the publication's reporters and second in a series of tweets in which he deemed the actress, who is perhaps the most acclaimed of all time, "over-rated." Director Ron Howard was one of the many celebrities who celebrated Meryl Streep for her words, and he also criticized Trump for "[taking] the bait."